Ernest Doe has been selling construction machinery since the 1950s and are official Hyundai dealers and New Holland dealers, as well as having many other top line machinery franchises. 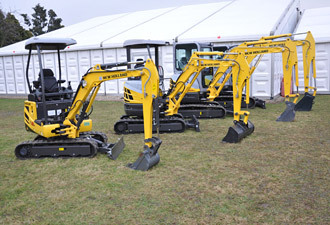 Hyundai and New Holland provide reliable, fuel efficient and cost effective crawler excavators, wheeled excavators, mini and midi diggers, wheel loaders, backhoes and skid steer units. 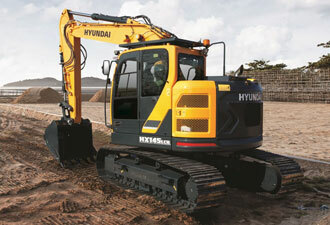 Ernest Doe have been Hyundai dealers for construction machinery for over 20 years. In that time, the product range has evolved tremendously into the very capable Dash 9 series which is gaining a strong following among users who are looking for innovative dependable construction machinery and value for money. Being an official Hyundai dealer enables Ernest Doe to draw on the resources of the world’s 7th largest company. With interests as diverse as cars, ship building, oil rigs and construction machinery, Hyundai has used its experience to continuously expand and develop its range. Now, the Dash 9 models have new styling, refined cab interiors, are more powerful in operation and come with in-built reliability. These qualities will deliver cost effective solutions to operators in East Anglia and South East England. The current New Holland Construction range of construction machinery is a natural progression from the Ford construction machines that Ernest Doe began selling in the 1950s. Reliable and fuel efficient, the New Holland Construction range provides a cost effective answer to many firms’ construction equipment needs. New Holland Construction is a key player in the global construction equipment industry with a network of manufacturing plants spanning the globe plus a dedicated research and development centre. Responsive hydraulics and advanced transmissions have led to high output machines and continuous engine development has spawned the highly efficient, low emissions units of today. 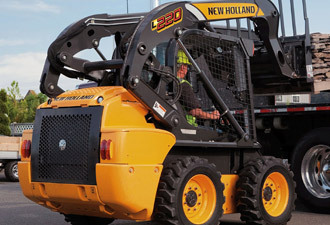 As New Holland dealers we offer their full range of construction machinery including: backhoe loaders, mini, midi and heavy range excavators, dozers, graders, skid steer loaders, tracked and wheeled loaders. 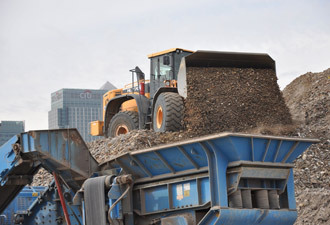 The range incorporates the well respected Kobelco 8-14 tonne wheeled and tracked excavators. As official Hyundai dealers and New Holland dealers we not only offer advice on sales, but can provide full after-sales support. We have fully equipped service and repair facilities on site, with servicing and repairs carried out by our own staff who have been trained by the manufacturers and are fully familiar with all the products we sell. We also offer contract maintenance and extended warranties to help keep maintenance costs low. 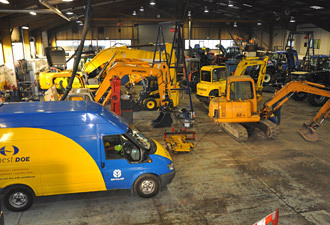 Construction machinery by Hyundai, New Holland and other manufacturers is available from our Ernest Doe Power stores located in Suffolk, Norfolk, Essex, Cambridgeshire, Hertfordshire, Kent, East Sussex, West Sussex and Surrey.